Paul Buckingham explains his frustrations about building standards in volume built houses. 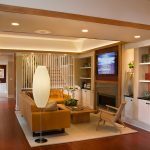 In Episode 99 we spoke to Luke Mahon about what it had been like living in his new, developer built, home. In this episode we are turning attention to the insights of someone who has worked within the industry and has been frustrated by the practices he has routinely seen. 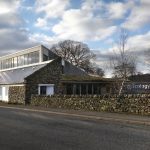 Paul Buckingham is a trained electrician but his interest in the energy efficiency of buildings led him to complete a Masters degree in Architecture: Advanced Environmental and Energy Studies at the Centre for Alternative Technology (CAT). 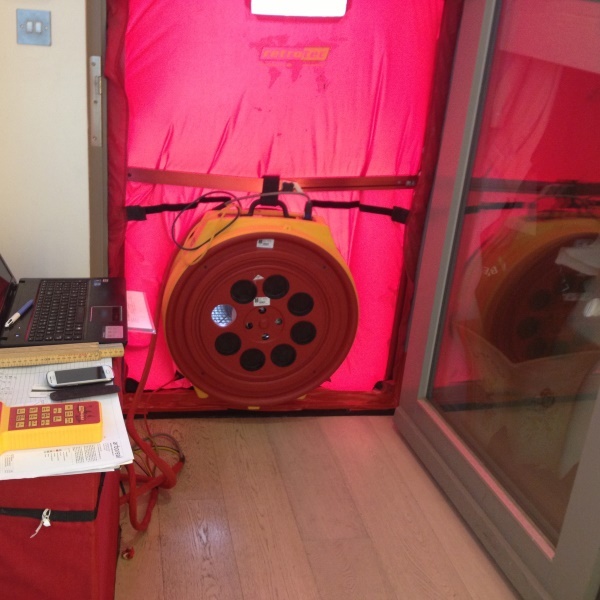 Over the last 4 or 5 years his work has predominantly been in airtightness testing, and estimates in that time he must have carried out tests on over 2000 properties, of which he says none of them were properly airtight. Until recently much of the work he did was on volume built houses and he shares some of his experiences of that time. 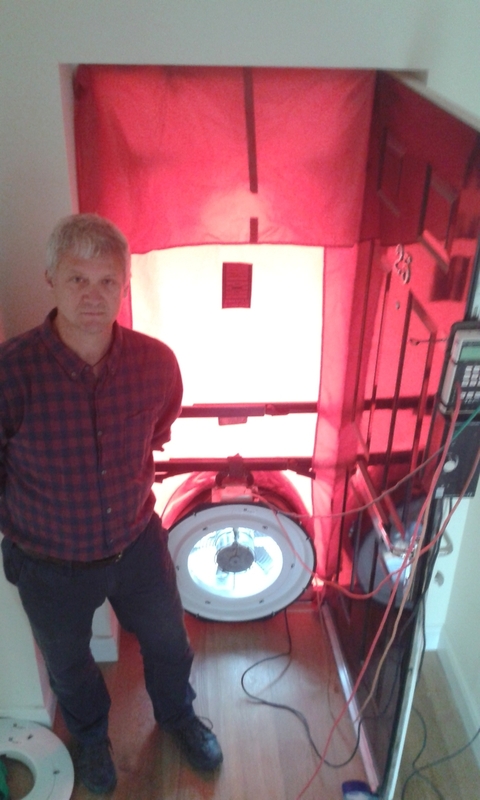 Paul now runs an independent consultancy, providing advice on achieving energy efficiency. Paul claims that his experience of testing was about quantity and not quality, getting as many houses to pass the test as possible. He uses the example of dry lining which should be solid dab and fully sealed around the tops, bottoms, electrical outlets etc, but invariably the builders are not using anywhere near enough plaster. After the boards have been put up on the walls this can be spotted with a thermal camera to see where the dots and dabs are. Paul tells of a house he visited where the building failed the airtightness test because of a lack of mastic around the skirtings. He says the builders then put in the mastic, only for the carpet fitters to cut it out again. After it was then replaced by the builders and subsequently passed the airtightness test, Paul noticed them once again cutting it out as he was preparing to leave. 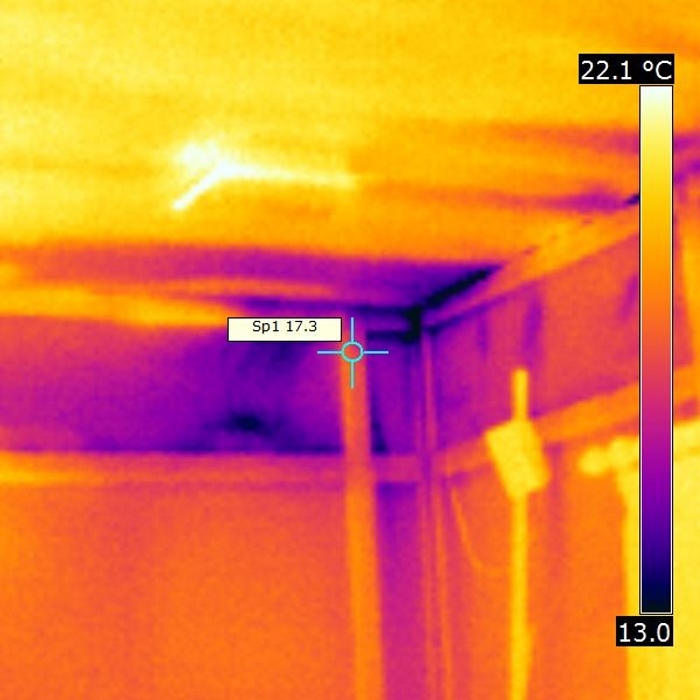 Cold air flowing behind the dry lining of a new house where it has not been sealed to specification. Wind blowing through the eaves and across the ceiling of a brand new loft conversion. 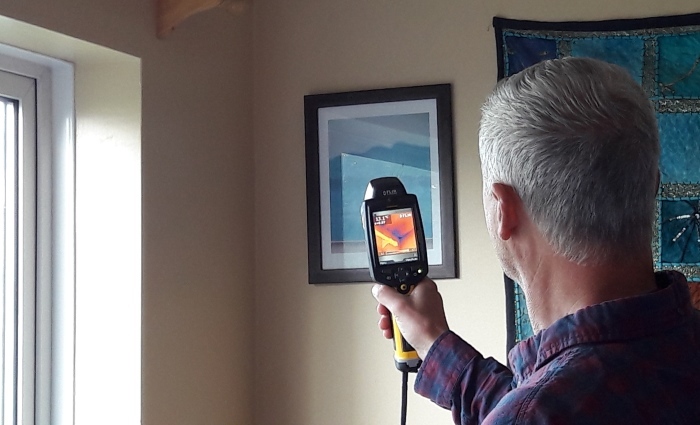 Paul says there was a often a shortfall in knowledge on site about what airtightness is and how to make a house airtight, and it was his aim to advise people how to improve on this, rather than just get the buildings to pass the test. 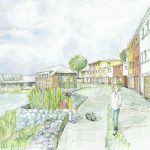 He found some site managers and builders more receptive than others to his suggestions and they were prepared to work with him to get the houses built right, rather than patching them up at the end. On a large housing development the builders are given such tight schedules that Paul claims the builders themselves say they're just throwing the houses up in order to meet deadlines and targets. 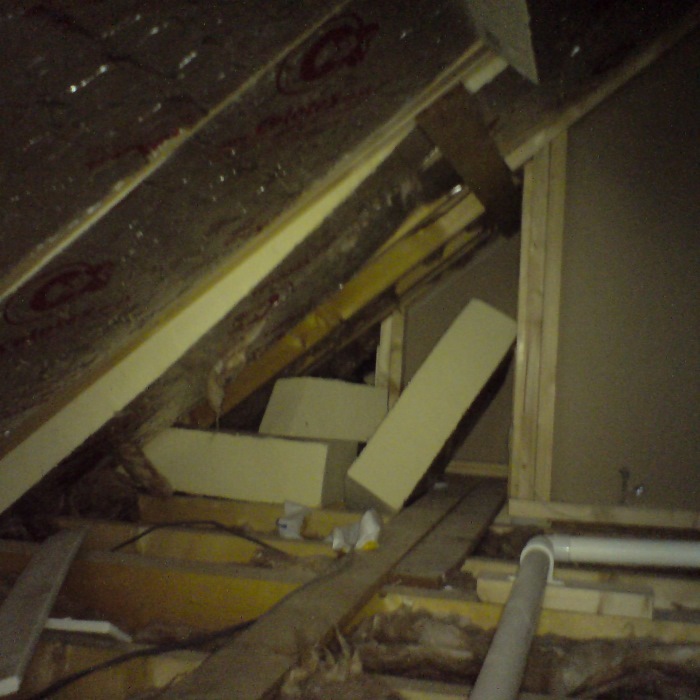 Loft space of a new house showing insulation that has fallen out because it wasn't installed to manufacturer's specification. 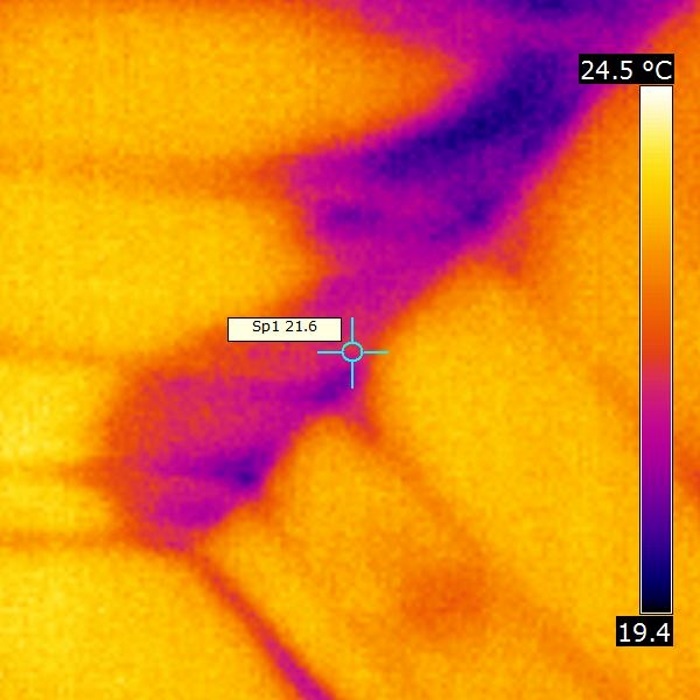 Absence of loft insulation on a new build house. Paul was eventually fired from his recent airtightness testing job. He says his employers weren't happy that he was spending time trying to get the message across and get the builders to change their ways, when he should have been keeping the customers (the volume house builders) happy by helping them to just get a pass on the buildings. 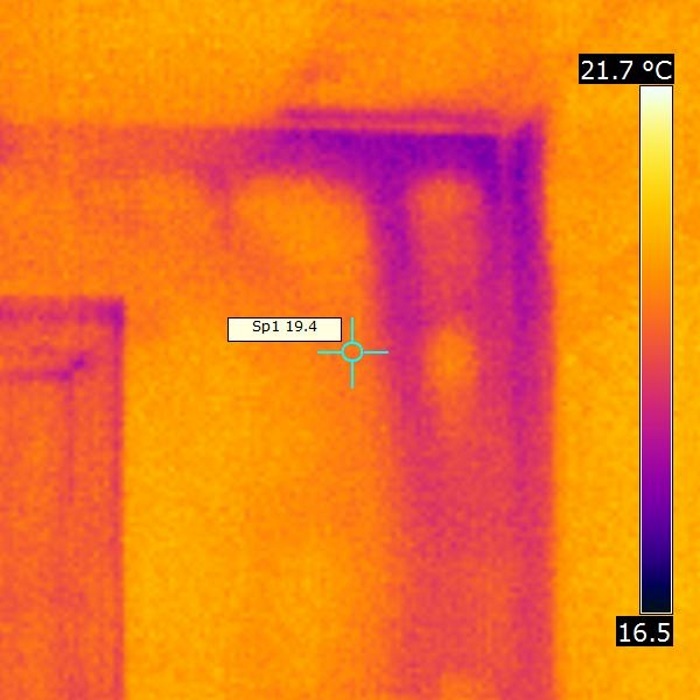 Things came to a head after he wrote a report where he had used thermography to show missing insulation, air leakage around windows and air blowing in behind the plaster board. Paul points out that when it comes to the airtightness test, “the trouble is the builder pays for it so the builders effectively own the compliance companies.” He suggests that if it was instead carried out by an independent tester or surveyor, and paid for by the potential purchaser, you could be sure of a more impartial result. He says this might be a step in the right direction of putting pressure on the builders to improve standards and practices. 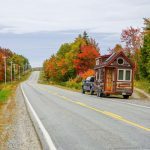 He would also like to see a tightening up of legislation, where things adhere to the Building Regulations to the letter, not just an interpretation of them which is what he currently sees. Download a transcript of the interview with Paul Buckingham. A reminder that Ben will be speaking at The Big Green Home Show at the National Self Build and Renovation Centre on 8th and 9th October. He'll be talking on the topic of what it's like to be a self builder. 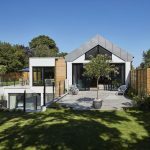 He'll be drawing on his self build experiences so far, some of the challenges that you might face, and also offering some of the tips that he has picked up from visiting a number of Passivhaus self builds across the UK.